Every once in a while we come across an outfit that makes us question, "how did she think of that?" Those are the best questions to ask because it makes us want to go outside the box and pair different items together. 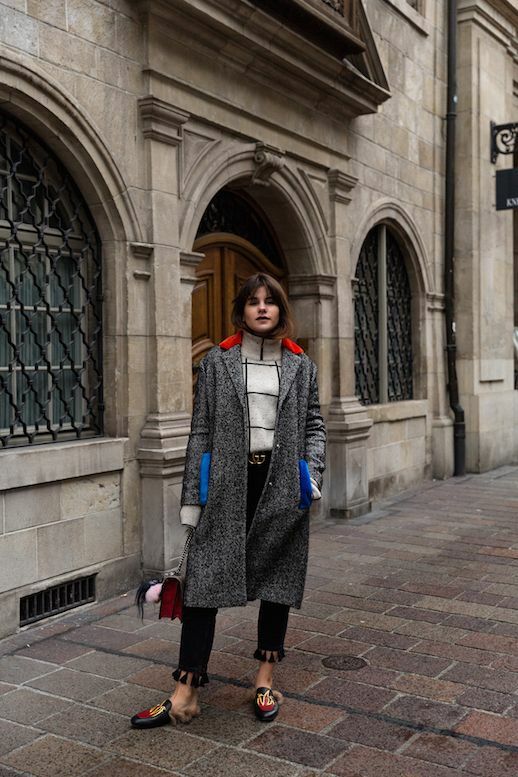 This fashion blogger decided to wear a fantastic wool coat (with colorful details) grid print turtleneck, tassel-clad jeans and furry mules.